It took Sara Beckel a year to recover from postpartum depression. As a certified labour doula and founder of Family First Doula Service & Maternal Wellness in Regina, Sask., Beckel has been following the progress of brexanolone, the world’s first postpartum depression drug developed by biopharmaceutial company Sage Therapeutics. Approximately 20 per cent of women experience postpartum depression (PPD) affecting 76,000 women in Canada and 400,000 women in the United States annually. PPD results in adverse effects for the mother as well as the child and symptoms include frequent feelings of sadness, worthlessness, hopelessness, guilt, anxiety, irritability and/or anger. Currently, when a woman presents with postpartum depression symptoms, a doctor might prescribe her an antidepressant which could take up to six weeks to take effect, if at all. She may have to switch to a different antidepressant and start the process all over again. But in brexanolone trials, women with moderate to severe postpartum depression who were given an IV infusion over the course of 2.5 days revealed dramatic improvements within 24 hours that lasted for 30 days, the length of time researchers monitored the women for their study. The drug is a synthetic form of allopregnanolone, a hormone which increases in women during pregnancy then drops dramatically following child birth. The decline in hormones following labour — including estrogen, progesterone, and in particular allopregnanolone — and its adverse effect on the brain’s neurotransmitters in some women is one of the prevailing theories into the cause of postpartum depression. Though the mechanism of action isn’t entirely known, providing brexanolone to women suffering from postpartum depression works to help fill the gap created by the sudden loss in allopregnanolone. “The idea that you could potentially have a drug that could have women treated very quickly within days, which is very different than what’s currently available would be a paradigm shift that would be extremely exciting for the field,” Brexanolone Academic Principal Investigator Samantha Meltzer-Brody told HuffPost Canada. So, when is it coming to Canada? Simone Vigod, a psychiatrist and lead of the Reproductive Life Stages Programat Women’s College Hospital in Toronto, has been closely following brexanolone’s progress. She believes the science has been promising, though she would like to see more research on it before its use becomes widespread. Results of Sage Therapeutic’s “significant and clinically meaningful” phase two findings involving 21 women were published last summer in The Lancet. Women less than six months postpartum with severe postpartum depression were randomly assigned to receive either brexanolone or a placebo treatment for 60 hours. Women were not permitted to breastfeed while receiving treatment. Using the Hamilton Rating Scale for Depression (HAM-D), researchers found that in the women who received brexanolone, scores decreased by 21 points. In women who received the placebo, HAM-D scores decreased by eight points. Side effects included dizziness and drowsiness. The results of two phase three brexanolone trials were recently revealed. In the first trial of 100 women with moderate PPD, brexanolone was shown to reduce HAM-D scores by 14.2 points versus 12 points in women who were given a placebo. In the second trial of 138 women with severe PPD, brexanolone was shown to reduce HAM-D scores by 19.9 points with a low dose of the drug and by 17.7 points with a high dose of the drug versus 14 points in women who were given a placebo. Common side effects included headaches, dizziness, drowsiness, and infusion site pain. 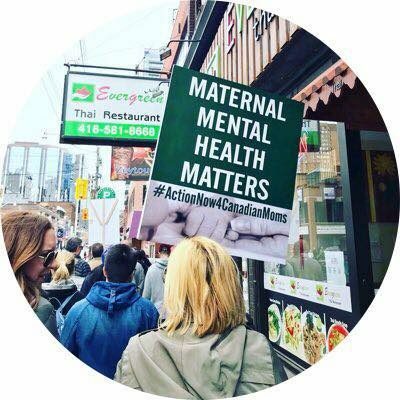 After going through postpartum depression, Beckel became a staunch maternal mental health advocate and is one of the lead organizers behind the first annual Our Mothers, Our Future conference in Saskatoon. While she hopes Canada will one day approve brexanlone, Beckel is concerned about potential challenges in administering the drug as well as cost. It’s been estimated that the cost could amount to $15,000 to $20,000 per treatment. “Not having facilities set up to room mom and baby in Canada while the mother is being treated is a big challenge and if approved, would it be covered completely? If not, I’m assuming the cost would be extremely high, making it unavailable to most,” Beckel said. “On the flip side, it could mean everything to a suffering mom. It could be life changing. This new drug would eliminate the need to chase down the right medication,” Beckel said.